Pharaoh Ant control is becoming more common in the UK. 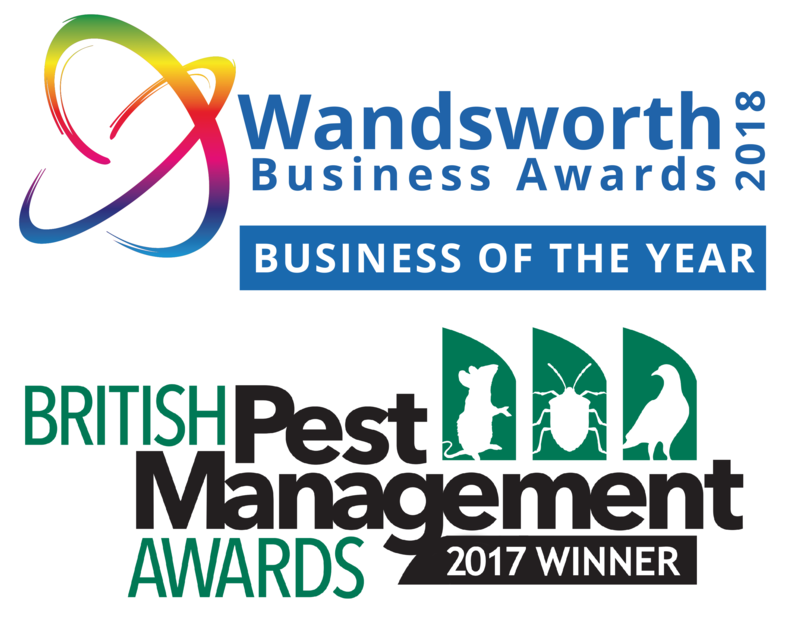 Tropical & Pharaoh Ant Control enquiries are increasing in the UK. They used to be only found in hot countries but they have become more adapted to this country since travelling abroad and central heating in buildings has increased as they can survive the winter near hot water pipes. In the average nest, there are around 170 ± 8 queens every nest, which comprises around 5.2% of the total population. Pharaoh ants form many new nest buds quickly. 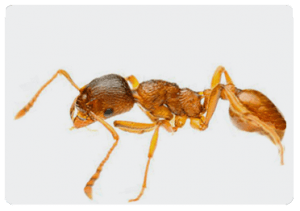 There are many species of tropical ants that are only found indoors including the Ghost Ant, The Crazy Ant, Argentine Ant and, the most common of them all, the Pharaoh Ant. 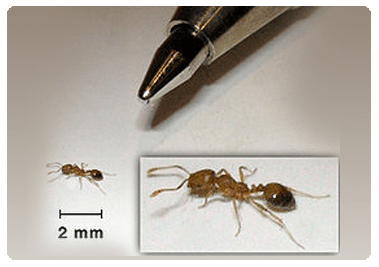 These are all only 2-3 mm long and therefore much smaller than the ants we see outside such as the Garden Ant, Wood Ant and Fire Ant in this country. However, to the untrained eye, these tropical ants all look very similar. It is very important to identify the correct species, because the ant control treatments involved, for example for the Pharaoh’s Ants, is completely different to the other ants. 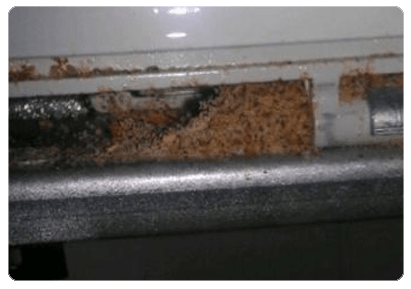 Beaver Pest Ant Control usually send a trained surveyor to assess the situation first to ensure you do not waste your money by paying out for the wrong pest control treatment. Pharaoh Ants are straw coloured and about 2mm in length. You often see these ants in a long line because they follow pheremone trails. 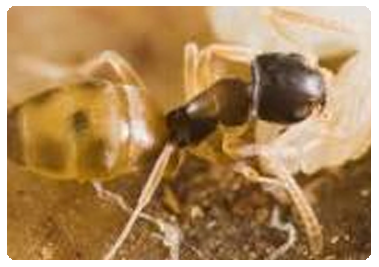 Unlike Garden Ants, Pharaoh Ants have multiple queens and when the ant nest is large enough one queen leaves with many workers and starts another satellite nest. Sprays and powders often just kill the workers because they often forage so far away from the nest and not enough of the insecticide gets into the nest. Spraying insecticides may also cause the nests to bud (split) and by trying to treat them yourself you may end up with a worse problem. You need to kill the queens and success does not rely on how many workers you kill. For Pharaoh Ants the correct treatment is therefore essential and is based on their preference for eating foods containing proteins such as meat. The treatment relies upon the worker ants taking the bait back to the nest to feed to the queens. This is quite expensive as specific, slow acting products are required and it is unlikely to work if neighbouring properties also have a Pharaoh Ant infestation. A full survey of surrounding adjoining premises is therefore often necessary to determine the scale of the problem.